Indie Retro News: CD32 XMAS DISC 2017 - A Christmas special with lots of great new demos and games! 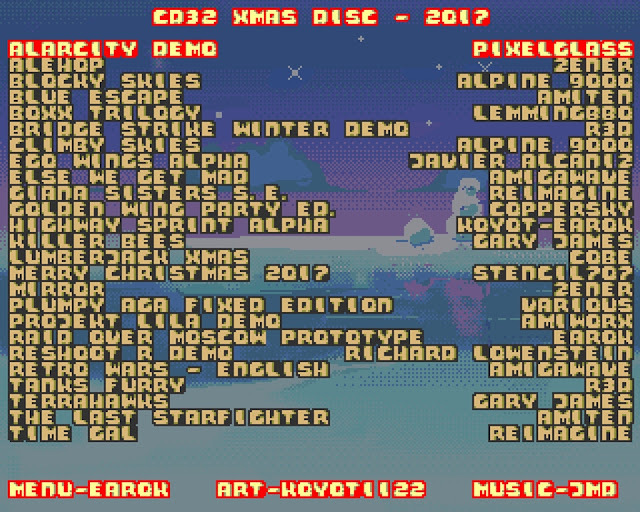 CD32 XMAS DISC 2017 - A Christmas special with lots of great new demos and games! Throughout the year we've been mentioning as many demos and new games for the Amiga and Amiga CD32 as possible to keep you keep up to date with the latest developments in the scene to keep it as fresh as a newly opened retro computer. As such it is with great pleasure to give a late announcement to a fully packaged CD32 release of those demos and games that is sure to keep you occupied through Christmas and beyond... Welcome to the 'CD32 XMAS DISC 2017'! I could almost say this is the CD32 release of the year as if you've missed out on many of the games released through 2017 now is your chance to play this EPIC CD that contains a compilation of 25 different games and game demos - including a handful of exclusives (or extremely recent releases). 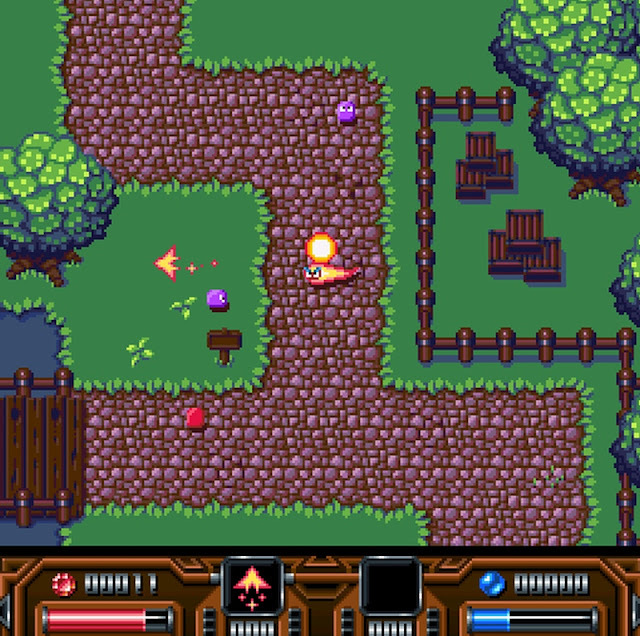 In fact this XMAS bonanza doesn't just have a demo of the fantastic in development shooter game AlarCity by PixelGlass, but also LumberJack Christmas by Cobe, Time Gal by Reimagine, Boxx Trilogy by Lemming and many many more! - A HDD friendly package for A1200 users will be available soon.